A Selston man who was caught just over the drink drive limit has been landed with a £459 court bill and a 12 month driving ban. Callan Woodham, 29, of Hartington Drive, admitted driving over the legal limit, and driving without insurance, when he appeared before magistrates in Nottingham on September 8. 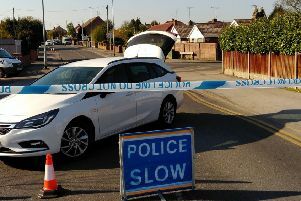 The court heard his car was stopped by police on Alfreton Road, Nottingham, on August 21. A roadside test revealed that he had 40 microgrammes of alcohol in 100 millilitres of breath when the legal limit is 35 microgrammes. He was fined £340 and ordered to pay a victim surcharge of £34 and court costs of £85.